Starting today begins the big LISBON WEEK. Lots of happenings and the opportunity to visit buildings and places usualy closed to public. For the ocasion Urban Sketchers have been invited to draw in Alvalade, the neighbourhood central to the event and lots of drawings have been made. These drawings can be sen in USkPortugal blog . 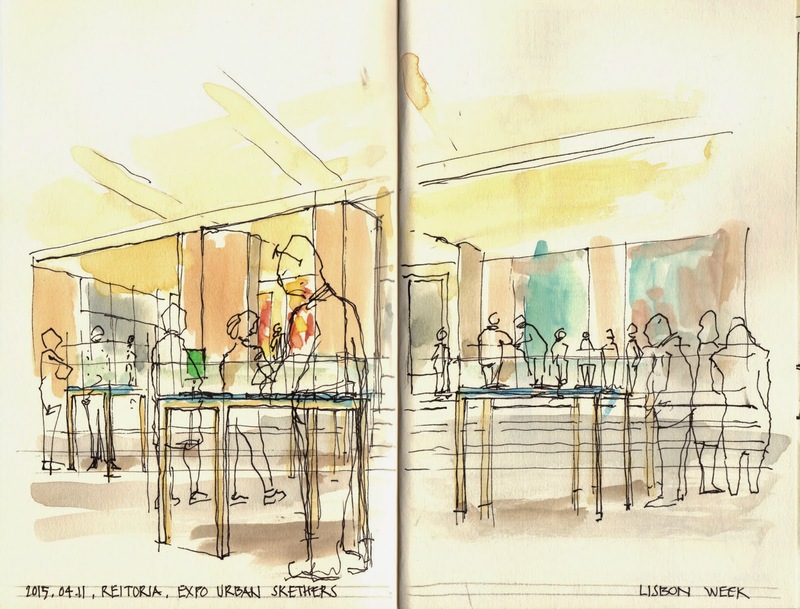 Finally,today, in the Lisbon University, a huge exhibition opened with one sketchbook from each sketcher. A beautiful place and a beautiful exhibition.